WARSAW, Nov 18 2013 (IPS) - Small farmers could play an important part in making Haiti – where just two percent of trees are still standing – green again. With a population of 10 million and Gross Domestic Product (GDP) of 7.8 billion dollars, Haiti, the Western Hemisphere’s poorest country, has been crippled by environmental degradation for several years. But there is a flicker of hope for the country and its neighbour, Dominican Republic (DR), with which it shares the island of Hispaniola. The CDM allows for reforestation projects to earn carbon credits (Certified Emission Reductions – CER’s) for each tonne of carbon dioxide equivalent “sequestered” or absorbed by the forest. In the case of World Vision’s Humbo project, revenue continues to be generated for the communities who manage the forest assets under seven cooperatives, representing almost 50,000 people. Devastating floods and landslides have also left bare many areas previously covered with forests, he noted. 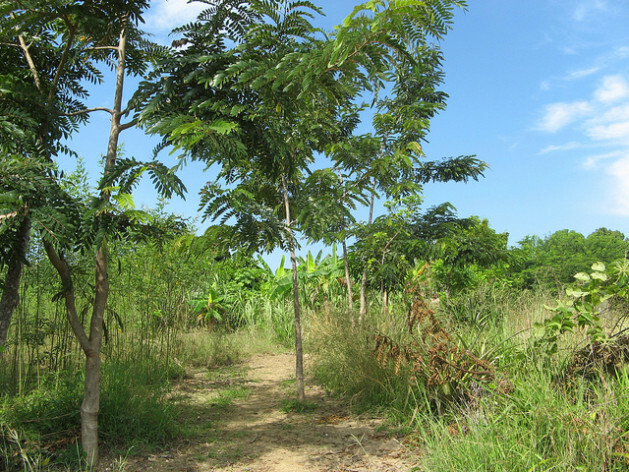 World Vision’s point person on reforestation, Tony Rinaudo, recently visited Haiti and the Dominican Republic to examine the degraded landscape in the area. “There is enormous potential for FMNR – for example, with prosopis which is a very aggressive thorny species. With systematic management a sustainable charcoal, pole, timber, honey, fodder industry could be established,” he told IPS. Indi McLymont-Lafayette, regional coordinator for Panos Caribbean, which works to give voice to poor and marginalised communities, told IPS that some grassroots groups in Haiti were already actively involved in this issue. World Vision has had tremendous success with a community-managed forestry project in the Humbo region of Ethiopia, 342 kilometres south of the capital Addis Ababa. Over a 30-year crediting period, it is estimated that more than 880,000 tonnes of carbon dioxide equivalent will be removed from the atmosphere, making a significant contribution to mitigating climate change.